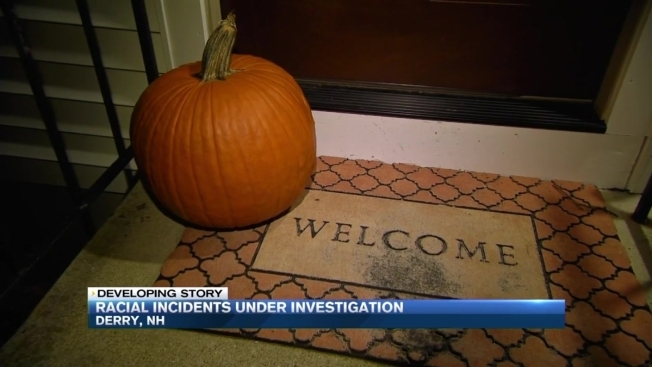 Repeated Incidents of Racially Motivated Vandalism in Derry, N.H.
Derry Police in New Hampshire are investigating repeated incidents vandalism. Police in Derry, New Hampshire are investigating repeated incidents of vandalism. Police first responded to a report of a damaged vehicle on Oct. 21 and investigated it as criminal mischief. They found racial slurs carved into the paint of a vehicle outside the home of Jaci Stimson on Scobie Pond Road. Stimson told police the car was vandalized while they were home and the car was parked in their driveway. Three days later, Derry Police received another report of an “intimidating message” left at the same location. In this case, a sign containing racial slurs was placed at the end of the resident’s driveway in the late night/early morning. On Wednesday, a third incident was reported. This time, the family woke up to find eggs, fried chicken, and watermelon thrown onto her car. But Stimson will not be intimidated. She believes it is important to show her son neither she nor him have done anything wrong. Anyone with information is asked to contact the Derry Police at 603-432-6111.